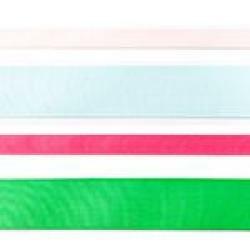 We sell grosgrain ribbon made with a width of 10mm and 25mm. A grosgrain ribbon is made of polyester with ribbing. With this you can finish your garments nicely. Ripsband 10mm - Dark Blue..
Ripsband 10mm - Dark Brown..
Ripsband 10mm - Dark Grey..
Ripsband 10mm - Warm Red..
Ripsband 10mm - Dark Green..
Ripsband 10mm - Grass Green..
Ripsband 10mm - Dark Fuchsia..
Ripsband 10mm - Light Grey..
Ripsband 10mm - Light Blue..
Ripsband 10mm - Light Pink..